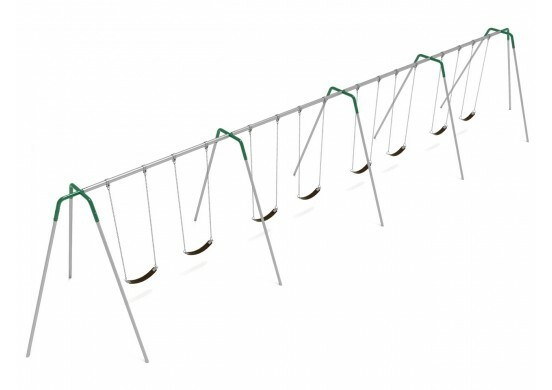 The Elite Tripod Swing with a 10-foot top rail height is a medium sized swing, perfect for all ages and all playgrounds. 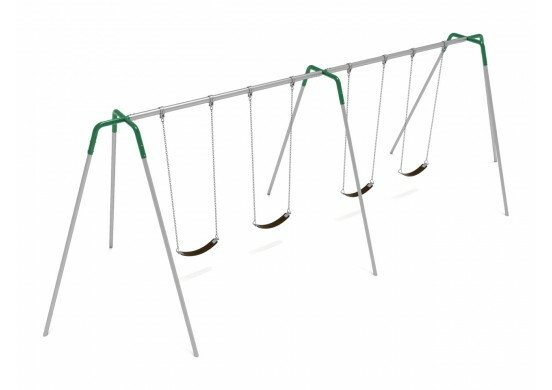 Its frame is made from durable galvanized steel pipes which are rust resistant, and can support extreme amounts of weight without warping. 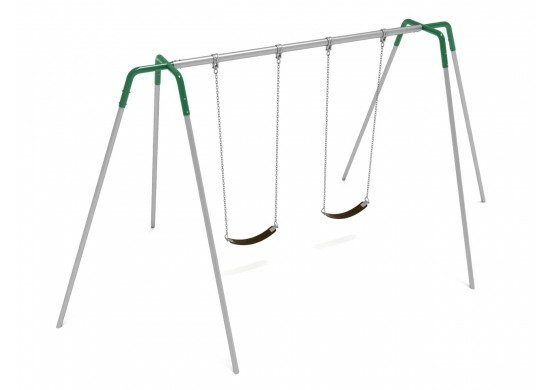 It comes standard with black plastic belt seats which have hidden steel inserts which fortify them to prevent tearing, without sacrificing comfort. Other seat designs, including seats designed for very young riders (ages 2 – 5), can be purchased separately from our website. 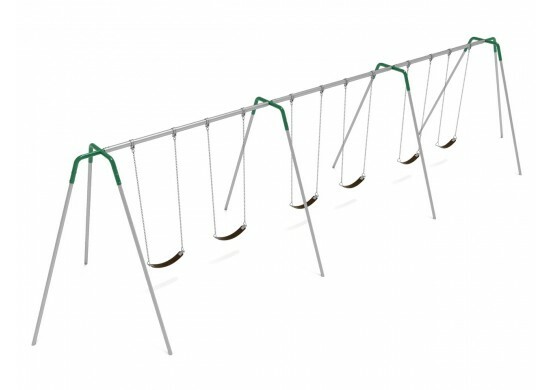 This swing set is easy to assemble or add on to, and can be ordered with anywhere between one and four bays. 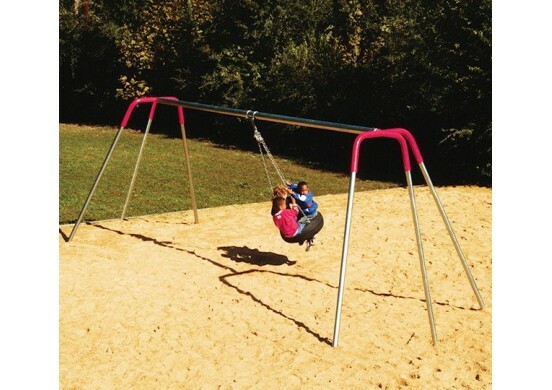 Each bay has room for two swings, granting a maximum capacity of 8 swings. 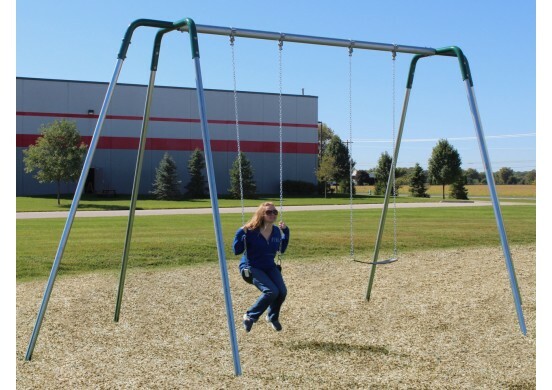 Proper loose fill playground surfacing, such as rubber or wood mulch, should always be applied before installing any swings or other large playground structures.